… he said to the members of WADA Foundation Board in Stockholm City Hall. The IOC is one of the organizations that carries out anti-doping work with more credibility than it could previously. Nevertheless, perhaps, the most significant development in the past ten years has been the increasing involvement of public authorities. 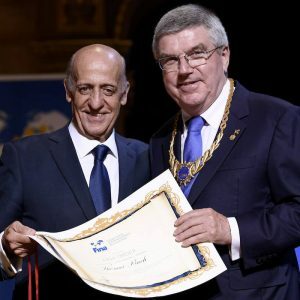 Governments have, in addition to their involvement in WADA, transformed a common policy into the UNESCO Convention which provides a legal framework in which all governments can address the use of drugs. Operations by governmental units, such as the police and customs, have unmasked drug use, for example BALCO in the USA and Operación Puerto in Spain. This seems to have taken anti-doping work in a new direction. But despite these claims of progress anti-doping activity and WADA are still likely to face numerous challenges in the decade ahead. I have picked ten areas where I feel there is still work to be done. Since WADA was created in 1999 the number of doping controls has increased from 118,000 in 1999 to 274,000 in 2009. This indicates that sports organizations all over the world prioritize the punitive approach based on detection and deterrence. WADA is also looking at preventative measures and is currently preparing an education program targeted to young people both inside and outside sport. It seems promising but will require the support of sports movements and governments to succeed. (i) The fact that 128 nations have signed the International Convention against Doping in Sport (the UNESCO Convention) seems to be a success but in reality it tells us almost nothing. It remains to be seen how many of these nations really will implement and follow-up on their commitment. And will UNESCO have the necessary capacity to enforce the Convention and follow-up the signatories? Probably not. This job will then, in all likelihood, become another costly responsibility for WADA even though it is strictly speaking outside its remit. 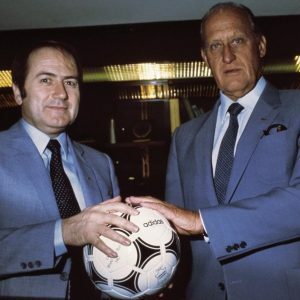 (ii) During the Stockholm meeting it was noted that six members of the Board have been there since the start. All of these came from the sports movement. Politicians and other Governmental agents are members for just a short period. This may influence the power balance because only the sports leaders have in depth experience and knowledge of the field, and it was felt that this could be a potential problem. In Stockholm it was reported that 649 organizations have accepted the World Anti-Doping Code, „the core document that provides the framework for harmonized anti-doping policies, rules and regulations within sport organizations and among public authorities:“ When it comes to adoption of the rules the situation is not nearly as positive. Finally, just a small number of organizations enforce all the elements of the Code. This gives lack of harmonization – with consequences for the athletes. It is of importance for the credibility of the anti-doping work that nations with athletes who win medals have an efficient and effective system. It was reported in Stockholm that WADA now intervenes in Russia, India, Brazil, Nigeria, Jamaica and Turkey. Of particular importance is the situation in Russia, a superpower in sport. There are some positive signs: an independent anti-doping organization (RUSADA) is now established, Russia has now allowed WADA to send doping control officers (with multiple business visa) to carry out unannounced tests, they can now bring the necessary equipment, and it was reported that the parties are close to a solution regarding bringing biological samples out of Russia. As mentioned, 274.000 tests were carried out last year. The cost, including sample collection, transport, analysis, payment to doping control officers and administration is on average 1000 USD for each test. This gives a total cost of close to 300 million USD just for the controls. In addition there is the expense of supporting hundreds of organizations, meetings, seminars etc. Anti-doping has become an industry. It will be a challenge to ensure the money is spent efficiently. WADA and some international federations are involved in court cases which go on for months and years. In addition to cases brought to the Court of Arbitration for sport (CAS), more athletes are taking their cases to civil law courts with a consequent increase in costs for WADA and sport federations. WADA has spent a huge amount of money on developing tests for new drugs. But we are still waiting for methods to test for gene doping. New methods and drugs will appear in the years to come. One way to overcome this challenge, however, would be for WADA and the enforcing bodies to co-operate with medical companies. WADA has met resistance among some athletes‘ groups after the revised Code (and the international standard for testing) came into force earlier this year. For the years to come this will present WADA with a difficult balancing act. The wish for effective anti-doping work has to be married with how people within and outside sport understand these methods. For many, whereabouts is seen as part of an expanding anti-doping regime that is moving from a justifiable approach to an indefensible surveillance regime. The Anti-Doping Administration & Management System (ADAMS) is, after many years and many millions of dollars of expenditure, still a matter of concern. The IOC will implement ADAMS for the winter games in Vancouver and any system failure will represent a setback for anti-doping work. For many athletes it is difficult to handle ADAMS – which again gives rise to resistance to anti-doping work. 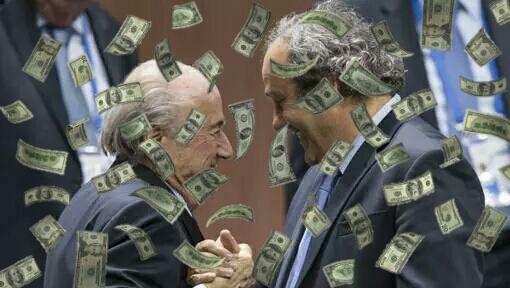 Elite sport is about big money. It has been indicated that doping control officers and employees at accredited WADA laboratories have been involved – or that some sought to involve them – in corruption. If some athletes or federations can go „clean“ by paying people in important positions there is no hope for the anti-doping work. Thanks to Dag Vidar Hanstad for allowing me to publish this editorial. 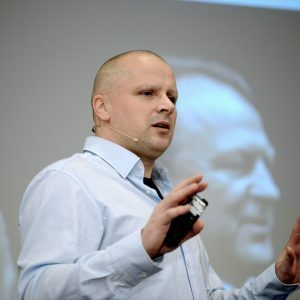 Dag Vidar Hanstad is an Associate Professor at the Norwegian School of Sport Sciences and a member of the International Network of Humanistic Doping Research. He has worked has a sport journalist before. Interesting article which proves the remarkable developments and results of the antidoping endeavours, specifically under WADA , but otherwise indicates nethertheless the shortcomings and obstacles arising from very different national approaches towards the issue and obviously various political will, even from superpowers in sports as russia. Here lies in my view the decisive reason why the process of comparable national measures and solutions is not at all a smooth one. Operations by governmental units, such as the police and customs, have unmasked drug use, for example BALCO in the USA and Operación Puertoin spain. I can´t share the view that the OP is an appropriate example on how governmental bodies can contribute to equal und just treatment of drug affairs. Operacion Puertoin represents unfortunatly just the contrary as we had to recognize in Germany by the case of Jan Ullrich. Three years have passed and no final decision could be taken. Besides that the majority of results made public as the involvement of more than 200 individuals and various kinds of sports in the affair were not further investigated by the Spanisah responsible bodies. Anti-doping has become an industry. It will be a challenge to ensure the money is spent efficiently. I doubt that the problems arising from the abuse of drugs inside sports can be only diminished by providing more money. We have to reconsider the generell approach towards properly governing the illness. Concentrating upon prevention, education of youth and restructering the responsible organs and bodies. 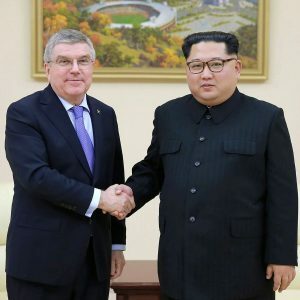 To have a more critical look on sports as its role and significance in societies and in the internationale communities is concerned, would be more than necessary. We should not believe as it runs it runs well. Even bigger international events don´t contribute and create a challenge to WADA it can´t easily burden. Wouldn´t it be more sufficient to allow only countries to participate in such events which respect fully the international obligations of anti drug policies ? It was reported in Stockholm that WADA now intervenes in Russia, India, Brazil, Nigeria, Jamaica and Turkey. Of particular importance is the situation in Russia, a superpower in sport. There are some positive signs: an independent anti-doping organization (RUSADA) is now established, Russia has now allowed WADA to send doping control officers (with multiple business visa) to carry out unannounced tests, they can now bring the necessary equipment, and it was reported that the parties are close to a solution regarding bringing biological samples out of Russia. Here I was just surprised how sport nations as Russia are lacking behind the developments considered already as normal in certain countries. Wird der Wada-Etat nicht aufgestockt, bleibt Antidopingpolitik im Weltmaßstab, was sie ist – eine ziemlich leere Parole. nur 1,4 Millionen für Dopingtests, also magere fünf Prozent ihrer Ausgaben. […] 2002 steckte die Wada noch 3,9 Millionen in Kontrollen, das waren seinerzeit mehr als 20 Prozent ihres Jahresetats. 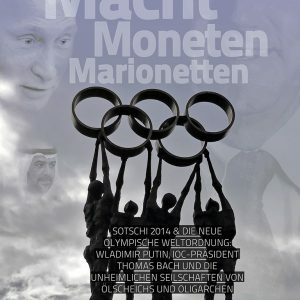 Dopingproben gehören für die Sportler bei nationalen und internationalen Wettbewerben zum Alltag. Doch welcher Athlet wird aus welchen Gründen auf welche Substanzen untersucht? Hajo Seppelt und Robert Kempe (WDR) berichten über die Praktiken der Verbände. 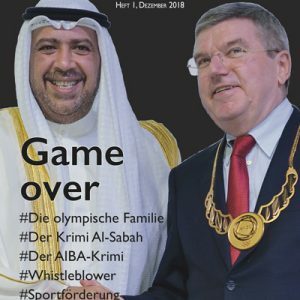 Die Sportwächter verhalten sich wie eine Polizei, die es nach einem Banküberfall für überflüssig hält, die Bilder der Überwachungskamera zu sichten: Ach nö, lass mal, die Gangster waren so clever – die waren gewiss sowieso maskiert. Bis zum vergangenen Mittwoch hat die Wada wider besseres Wissen keine Warnung vor dem Genuss von Fleisch in Mexiko herausgegeben. Von mehr als 60 sind nur 35 gelistet. 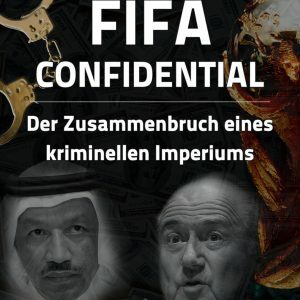 Die anderen kommen ihrer Berichtspflicht offenkundig nicht nach, mithin sind hier Verstöße gegen den WADA-Code festgehalten. Über die Hälfte der gelisteten Verbände, nämlich 18 von 35, haben im letzten Jahr mit ihren Kontrollen keinen einzigen Doper überführt. The Institute of National Anti-doping Organization has been established by the United States, Australia, Britain, Canada and Norway. Twenty-four nations attended the first INADO meeting last month and the search for a chief executive begins next month as the organization expands. 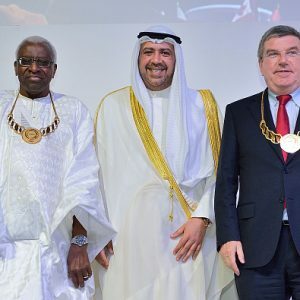 Leaders of the fledgling advocacy group insist they are not establishing a rival to the World Anti-Doping Agency, but trying to ensure nations speak with a unified voice as the WADA code is reviewed.